I had to fly back to Athens from Rome last night after my week at the Collegium Phaenomenologicum. I had arranged to stay at a place I found at hotels.com that turned out to be the guest house of a residence in the town adjacent to the airport. Soon after I booked the place I received an email informing me that I would have to pay another €20 for a cleaning fee when I arrived. Since I was unable to cancel and had not been aware of this fee before I booked I requested that it be waived. The owner agreed. He kindly arranged an “airport shuttle,” which he said would be cheaper than a regular taxi at €15 each way. At the airport a man was waiting for me holding a sign with my name on it. He told me that the police had hassled him for stopping right outside the airport and so he had to park in the pay parking lot, which he told me cost €4. I was skeptical because I had been dropped off by a Greek colleague and I saw signs saying the first 20 minutes were free. We got to his cab and drove off. On the way he told me that he was old and tired. He also told me that the recent fires were in the area about 10-20 kilometers away. When we arrived at the place, which was someone’s house, the owner came out to the cab. The taxi driver proceeded to tell him in Greek about the police harassment at the airport. One new detail was that they threatened to take away his taxi tags, which I think is like a taxi medallion in New York City. You have to pay €700 to get it back and you can’t work for a month. I then gave the driver €17, thinking I would help him out with the parking situation but that we had agreed to €15. He then said in Greek that the charge was €20 for pick up from the airport, which the owner then translated for me. I said he had told me €15 and the owner insisted that no he had informed me of the change. So I got out a €20 and asked for what I had given back and he took €4 of the change I had given him so he ended up with €24. This annoyed me. I didn’t think the costs of doing business were mine or that the owner told me of the change. I didn’t have that many euros left because I had tried to withdraw just as much as I thought I would need before leaving Europe. I felt like they were trying to take advantage of me. Then we went inside. And our conversations there gave me a new sympathy for the cab driver and really, once again, for the country of Greece. I think Europe is treating Greece the way that these guys were treating me, but also that they had to treat me like that because they had been so pinched they had to look for sources of revenue in every corner. First he told me that he had been helping with the fires and was recovering bodies of firefighters over the last several days. I think he wanted me to see how bad things were. And they were. He showed me a video someone had shot from their phone of the fires rapidly moving three a wooded area up to a house ending with the phone being dropped and continuing to shoot just fire. Apparently the person who shot the video did not make it. He told me as the cab driver had that 100 people had died. And then he said that this was not what Greece needed now since Germany was imposing its will on Greece and this had been very bad for Greece. He called the EU the Fourth Reich. He said but this time the Germans didn’t use guns, just Goldman Sachs and their allies to take over countries like Greece. He told me that Germany never signed a peace treaty with Greece after the Second World War in which they killed 1.2 million Greeks and they never paid what they owed the Greeks in reparations which would amount to 1 trillion in today’s euro. He told me that the problem is that though they lost the war they didn’t really change. He explained that Spain and Italy had significant debt that was cleared but Greece is being forced to pay. And then he told me that Germany had purchased 11 airports from the Greeks – which I gather meant that the Greeks were forced to sell off state assets to pay off debts and private German capitalists took advantage of this moment – a perfect encapsulation of neoliberalism. Force a drawing down of debt by turning a national debt into a crisis, propose privatization as a solution, benefit off the privatization. The result is the neediest not just countries but people within those countries are paying the richest of the richest countries. What really incensed this guy because it showed that Germans didn’t really care for the well-being of the Greeks was that while the Greek government had subsidized some small airports that weren’t very busy when private German companies bought them they shut them down. This, too, the man told me was why picking up at the airport was more expensive — even taxi cabs were being forced to pay an airport tax to the private owner of the airport to use the airport as a place of business. It was 10:30 at night. I had to leave early the next morning for a flight. I felt uncomfortable. At certain points the man’s account sounded to me to function like a conspiracy theory. I tried to tell him I understood and that he was right. He wanted me to know that this was destroying Greece and that people just take and take from Greece but never give back. 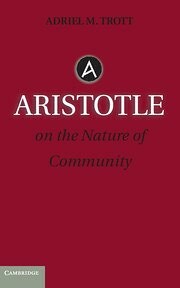 I just spent a week talking about Aristotle so I took that point to heart. And I thought again about the cab driver and my sense that he just took those €4 for the parking without my consent. €4 and I felt taken advantage of. I couldn’t do anything about it and I didn’t really know what they were saying in Greek. Maybe they were conspiring to get more money from me. That’s the story the Germans tell of the Greeks, but they really ignore how they are taking advantage of the Greeks. And that made me think too about how hard it is to know how to perceive what is happening when you don’t feel like you are in control and when you have no way to resist, and how this really is the situation for the people of Greece. And I thought about what the cab driver said to me on the way – that he was a tired and old man. In a country whose public pension system has been gutted by this demand to pay down their debt there are many who are old and tired and still working, still hustling for every €. I think I have to respect that. As I was going to sleep I decided not to begrudge them this. It was the least I could do. I, after all, will be reimbursed for that cab ride. I left this morning and flew to Munich.